Kitchen storage is a somewhat precious commodity, especially in small kitchens. Fortunately, with the right kitchen cabinet design, you can make the most out of your existing cabinet space. 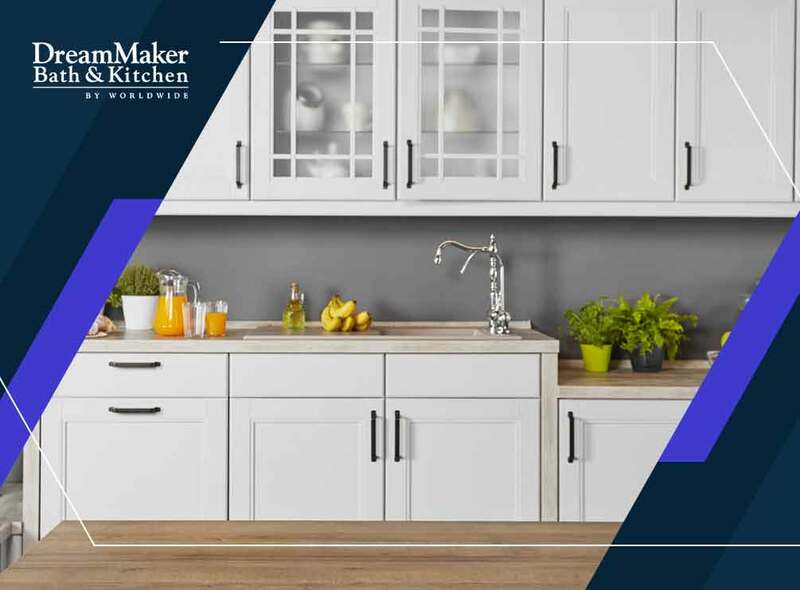 Kitchen and bath remodeling expert DreamMaker Kitchen & Bath – Greater Grand Rapids lists kitchen cabinet designs that maximize storage space. Corner Cabinets and Drawers — More than a few homeowners are guilty of underutilizing kitchen corners, which is often that space where “not often used but not ready for storage” kitchen appliances are put in. Kitchen corners are tricky and often fall victim to poor design. Make the most of this area by using unconventional drawer and cabinet design. Cabinets and drawers with a 45-degree face make for a more efficient use of corner storage space. Stacked Cabinets — Your kitchen may have those narrow vertical areas that often end up unused. You can have stacked cabinets built into these spaces to fully utilize storage space. A skilled kitchen remodeling contractor like us can help you design stacked cabinets that look clean and integrate well with your existing kitchen decor. These spaces may be too narrow for storing daily-use items, but you can store special items like china or food service trays. Pull-Out Pantry — Similarly, you can have a pull-out pantry built in those narrow recesses. You will need a quality track-and-roller system or something similar to ensure smooth and reliable operation. The door paneling can be built to match your existing cabinetry for a seamless look. Open Shelves — You can do away with closed cabinets altogether and just have open shelves installed in your kitchen. It adds visual space and makes it more convenient for you to find anything you need. Open shelves make you more aware of the utensils, cookware, and other things that you don’t use, which may just be the motivation you need to declutter your kitchen. Also, having open shelves means you have to keep everything organized, not just to look good, but also to prevent pots and pans falling from the shelves. DreamMaker Kitchen & Bath – Greater Grand Rapids is your leading provider of kitchen and exterior remodeling services. As a faith-based organization, you can count on our integrity and commitment to client-centric customer service. Give us a call at (616) 200-7495 or fill out our contact form. We serve clients in East Grand Rapids, MI and surrounding areas.